Fashion Anna: The Coolcat Fashion Party! A few weeks ago you could join my give away. You had the opportunity to win 2 VIP tickets for the Coolcat Fashion Party in the Hollywood Music Hall in Rotterdam, the Netherlands. There was a special dance and fashion show with dancers from So You Think You Can Dance (a dutch TV program) and amazing DJ's like the Party Squad and Mr. Polska. Two readers of my blog had the chance to go to this amazing event with a friend. Today, I would like to share their thoughts with you! 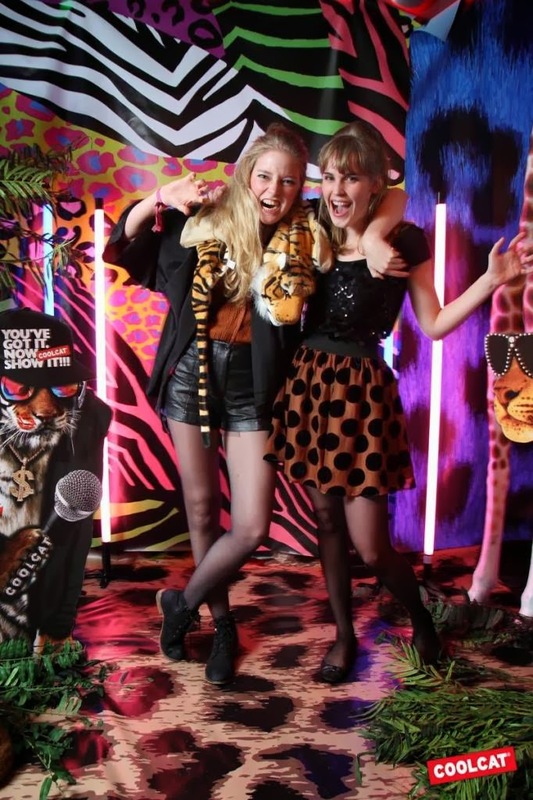 The first two girls to go to this event were Marloes and Marinda. They are both true music and fashion lovers. The fashion/dance show started quite late so they went home after the show. They told me it was very crowded so they couldn't see everything. Apart from that, 'The show was organized really well. 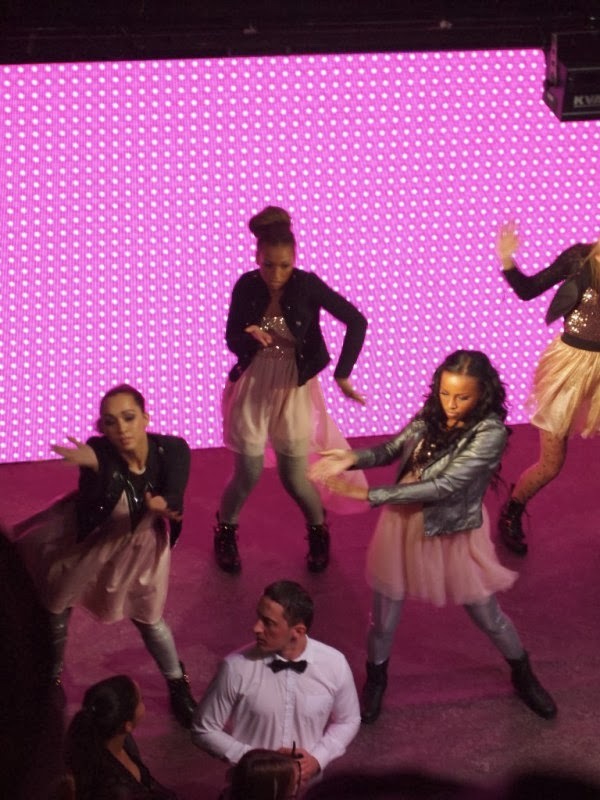 They danced and there were nice effects on the background, that's what made the show!' Marloes and Marinda had a nice cocktail and also made this video (even though they are talking dutch, it gives a nice impression on the evening so I would definitely watch it!). The second winner of the give away was Rowan and she went to the party with her friend Janita. She already knows her since she was 4 years old, so sweet! She told me there was a party mood as soon as she entered the building. You could take a photo with a colorful background and all kind of funny attributes. The theme of the party was 'realease the beast', you could see that clearly from the photo. She was very happy that she took the picture because the day after she had won 100 euros shopping money! So much and so awesome! After the picture they went to the VIP deck where she had a nice view on the dancing crowd and fashion show. Janita and Rowan with their winning 'release the beast' photo. I like it! wow!! such a fun event!! :D great post. thanks for sharing! This look like so much fun great post. Ik had ook graag gewild dat ik er bij was, het leek me wel heel gaaf! looks like real fun ! That is so nice of you and i am so thrilled for them they had a blast. so lucky to be there!